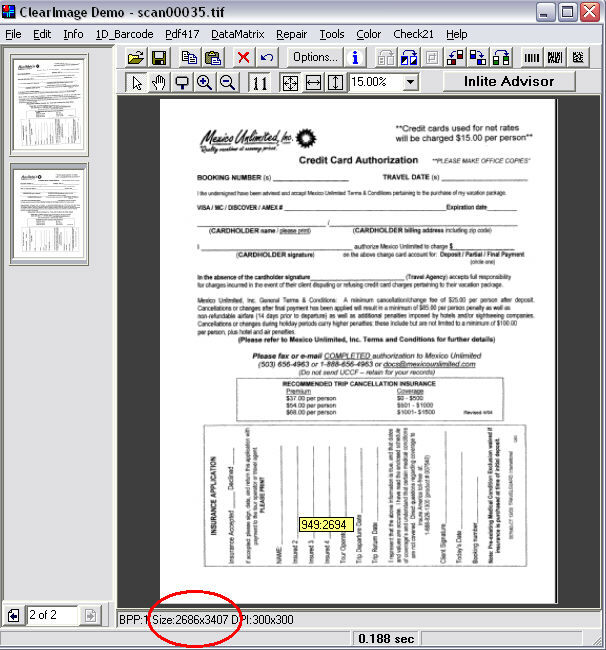 Often, when you scan images to work on them, they may be skewed or shaped incorrectly, as in this example. 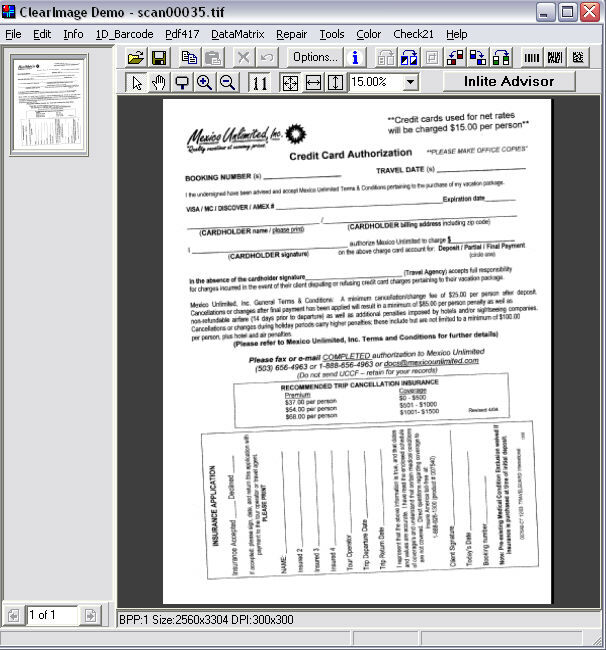 Notice excessive borders and skew. Use the ClearImage Demo application, which is included in the ClearImage SDK, to straighten out the image, so that you can use it in VBD. For this example the following operations apply. In your own case, you may need a couple of other operations. Now the image is deskewed, but the rotation has changed the overall image size, and it won't fit exactly on a letter sized paper sheet. 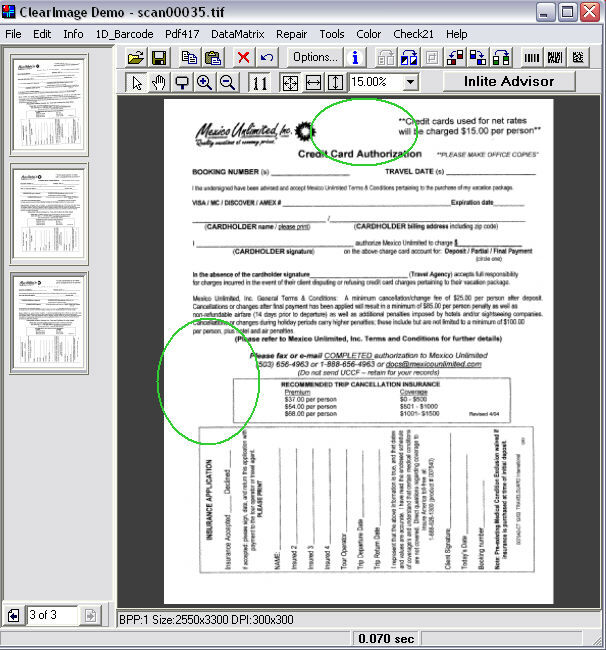 Compare the circled size below to the pixel dimensions above. Apply the Repair/Resize To Page Operation. 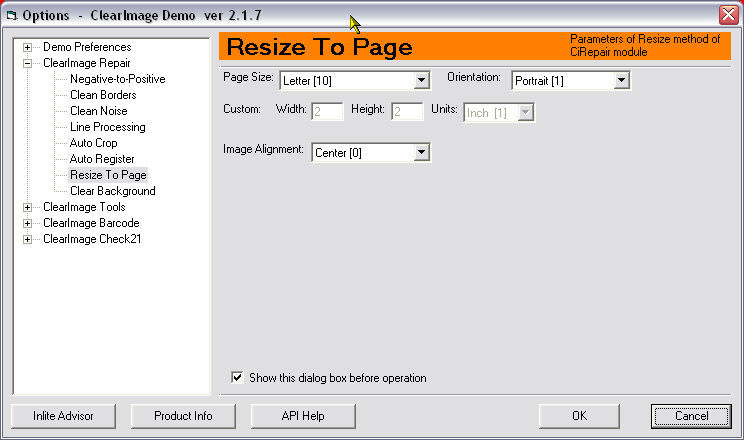 The operation shows a dialog box allowing you to select the size you need, as well as other pertinent parameters. Note that the image is now of the correct size. The green circles show possible locations for a barcode. 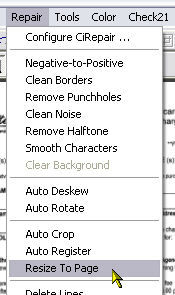 In VBD you will designate these areas. To reuse the image File/Save As a TIFF file.